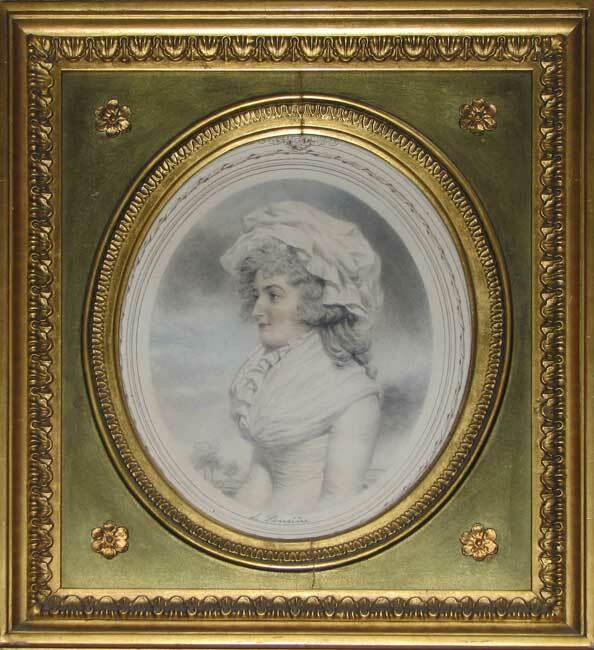 John Downman (1750-1824) was a very talented and prolific artist who specialised in portraiture with a particular emphasis on miniatures and smaller scale renditions. His work was immensely popular throughout the late Georgian and Regency periods and had a posthumous revival towards the end of the nineteenth century. To meet this demand there were many printed images produced by accomplished engravers such as Francesco Bartolozzi. It was these images that were then reissued in the late Victorian era and framed in elaborate gold frames such as this example.